RGB color mixing and a powerful 60W COB LED light source. The Stagg Cyclops 60 moving head light is ideal for both mobile and installed applications. The Cyclops 60 features a powerful 60W COB RGB LED engine. 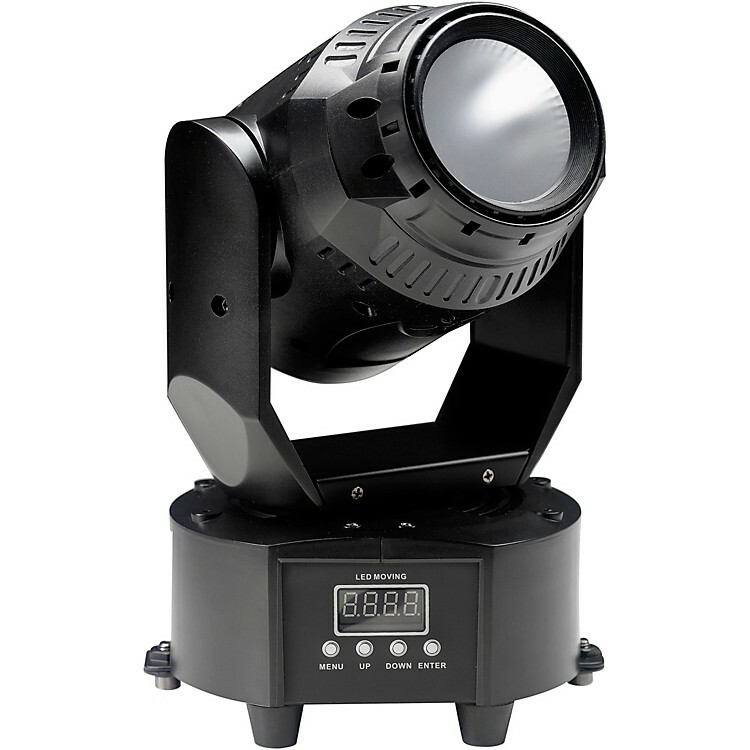 It features DMX control and built-in auto modes including strobe and sound active. Stagg is dedicated to providing accessible and reliable products to every level of musician and performer. Established in Belgium, Stagg has been keeping musicians playing since 1995. Stagg proves you don’t have to break the bank to get high-quality gear. With a wide range of pan and tilt movements, the Stagg Cyclops 60 delivers full-room coverage. Its 25° beam angle provides just the right spread for dynamic wash light applications. A removable hanging bracket lets you mount the Cyclops from a truss or other suitable location. The Stagg Cyclops cranks out an incredible amount of light. This is due to its powerful 60W COB LED light source. Thanks to its RGB capabilities, the Cyclops can smoothly change and mix a wide range of color combinations. Experience the power and versatility of this moving-head fixture—order today.